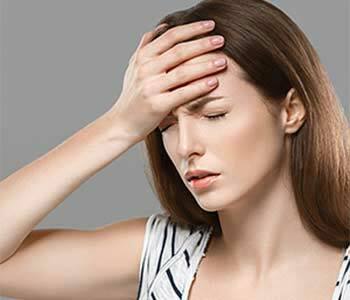 Patients who are often experiencing facial migraines or chronic headaches may feel that the only way to address these concerns is with continuous pain management using pharmaceuticals. However, these strong medications can have damaging effects on the body. Instead, patients should take the time to evaluate the cause of the issue and determine the best possible treatment to eliminate the need for medications. This is where Dr. Scott Stewart and his TruDenta treatment comes into play for many Lakewood, Colorado area patients. Conditions that causes pain are often a result of unbalanced dental forces. Patients may experience not only facial pain and headaches but neck and shoulder pain, jaw joint pain from TMJ/TMD, dizziness, and even ringing in the ears called tinnitus. When these issues exist, they may be indicative of a problem with the muscles around the jaw area. TruDenta includes a combination of treatments such as orthotic mouth guards to be worn at night, micro-current therapy, muscle manipulation, ultrasound treatments, and cold laser therapy. Many of these may be combined to provide optimum results and alleviate tension and pain patients may have been experiencing for many years. The process starts with an evaluation from Dr. Stewart. Using TruDenta for a healthier you! Patients who are experiencing issues due to unbalanced dental forces are encouraged to learn about the advantages of using TruDenta. Dr. Scott Stewart works closely with patients to determine if these treatments can be used to address inflammation, muscle tension, and improve range of motion. Many patients are extremely satisfied with their treatment and find a reduction in their health concerns. Call (855) 233-0023 or visit the office at 2525 S. Wadsworth Boulevard, Suite 11. His practice happily accepts new patients from the community and surrounding areas!